pastingJanuary 1, 2018 has been declared as the starting date for levying the value added tax (VAT) in the GCC. And despite the importance of such a move, recent developments with regard to the Qatar crisis have impacted on VAT’s combined roll-out. While some took practical steps, others are still abstaining from handling this issue. The sharp fluctuations in oil prices have resulted in financial headwinds in all oil producing and exporting countries, including in the GCC. Public finances, which depended on oil revenues for decades, could not thereby keep up with current or prospective conditions in global oil markets. Thus, to meet the requirements from these developments, it was necessary to take some measures including financial reforms, now that it is no longer possible to completely depend on oil revenues to fund annual budgets. And even though such revenues make up 90 per cent of budgetary resources for most of these countries. Interestingly, there are some, which achieved noticeable development in diversifying funding sources such as the UAE. The application of VAT is indeed an important step. The VAT on sales is considered the single most important pillar of the financial system in most of the economically advanced countries. It also constitutes a significant portion of revenues, and helps strengthen the financial position and boost stability of monetary conditions, which otherwise might be deeply affected by budget deficits and the rising public debt. As a result, many countries tend to borrow through issuing bonds to cover debts or bridge the deficit. Given the sharp oil price drop, Gulf budgets have become prone to deficits. That’s why the VAT system is an important step that would contribute to re-organising a number of the financial issues. And help with enacting new legislations that go along with the developmental progress achieved by Gulf economies. In addition, the VAT system will help set more accurate estimations for GDP. So what matters here is classifying the goods to be included in the new tax to make the most out of them, and reduce the direct impact on customers from the other. The classification will help exclude some basic goods such as foodstuffs and medicines, however, the rest can taxed by imposing a progressive VAT depending on their importance for consumers and in relation to living standards, whether they are basic or luxury. 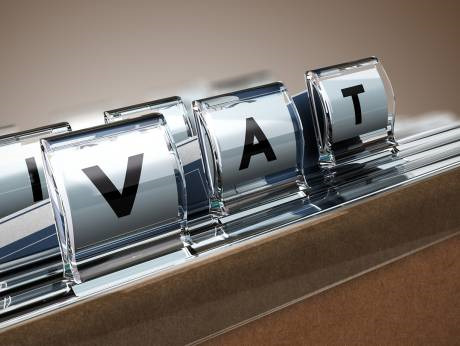 European countries have a long history of practical VAT application, related to the development of their economies. They went through numerous experiences that eventually resulted in positive outcomes. Soon after the recent financial crisis, a number of European countries had to raise the VAT rates so as to reduce the implications, Yet, some of them again cut VAT rates after their conditions turned stable. Obviously, this reflects the importance of VAT as a financial tool by which resources can be channelled and controlled in financial and economic indices. It goes without saying that a part of the VAT outcome that cannot be ignored will be to develop public facilities and implement vital projects that would contribute to boosting growth and provide job opportunities. This in fact is an important step for Gulf economies’ future and will help them join the status of advanced economies. Undeniably, the application of the VAT will face some unexpected difficulties even though the six Gulf states have already agreed to collectively apply the VAT. But Qatar has refused to apply it while Kuwait requested the consent of its National Assembly.